In the Martin & Sylvia: Saturdays! 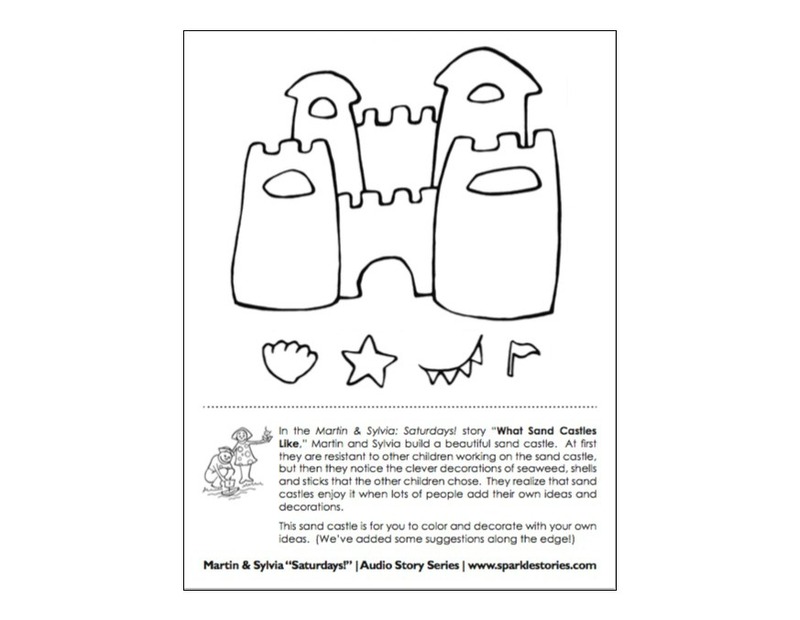 story “What Sand Castles Like,” Martin and Sylvia build a beautiful sand castle. At first they are resistant to other children working on the sand castle, but then they notice the clever decorations of seaweed, shells and sticks that the other children chose. They realize that sand castles enjoy it when lots of people add their own ideas and decorations. About: Martin & Sylvia's: Saturdays!